Hey everyone! I’m Helena from The Edge of Beauty. Kat has kindly let me guest post on her blog today, so that I can share with all of you beautiful people how I do my ombré nails. So a huge thanks goes out to you Kat for having me on Tales of a Pale Face. I learnt this ombré method from an amazing beauty guru on YouTube called Amarixe. You can find her video on how to create this look here. All you need to have to recreate what I’m doing here is shown in the picture below. 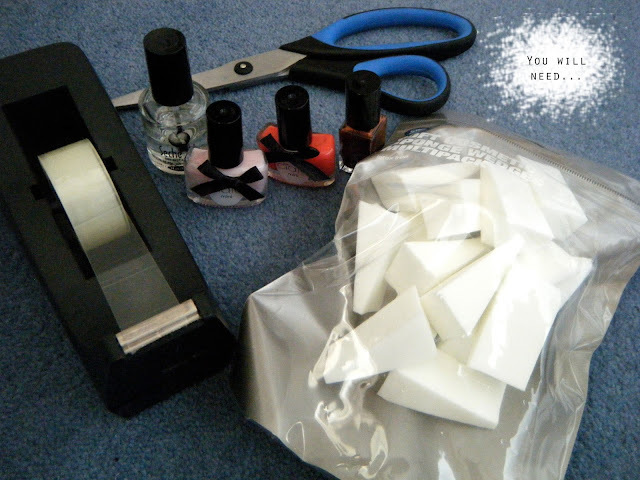 Tape, Scissors, Sponges, 3 Nail Polishes, and 1 Top Coat. Optional extras include Q Tips and Nail Varnish Remover. 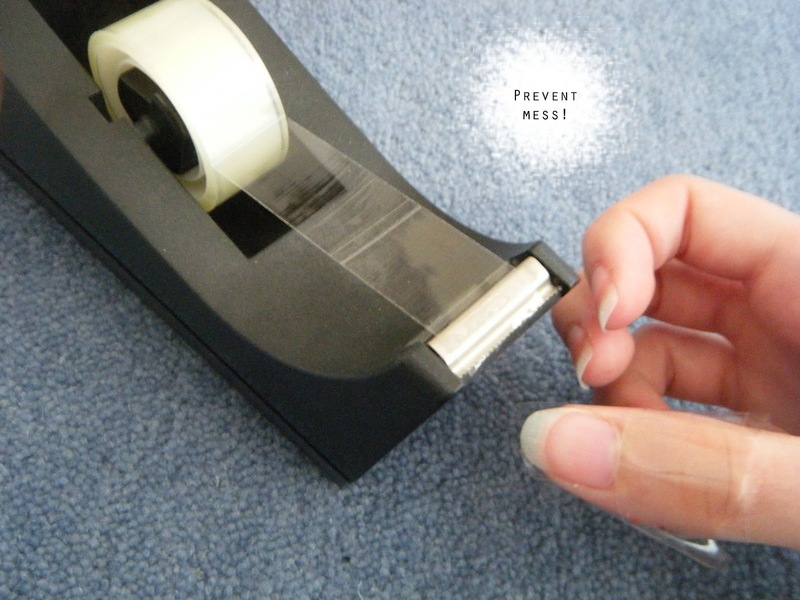 First I start off by applying tape around the edges of my nails to help make the tidying process later a lot quicker. Obviously the sponge will get polish on the sides of your nails too, so it is important to prevent that from transferring onto the skin, as this can ruin the look you’re trying to achieve. Following this step, I will trim the sponge to the size of my thumbnail, which helps to make sure there is as little mess as possible. I then go ahead and choose the polishes that I want to use to create my ombré look. If you pick colours that are too similar it will be hard to see the ombré effect, so it’s nice to pick a reasonable contrast. It’s also a lot easier to use three colours instead of two as I find that the final gradient is a lot smoother. Cutie pie, Speed Dial, Bronze. Now you need to start painting the polish onto the sponge in stages. Start with the colour you want at the base of your nail near the cuticle. Mine is the baby pink shade (Cutie Pie). Make sure that there is plenty of polish on the sponge as it can sometimes soak up the product and leave you with nothing to transfer onto the nail later on. 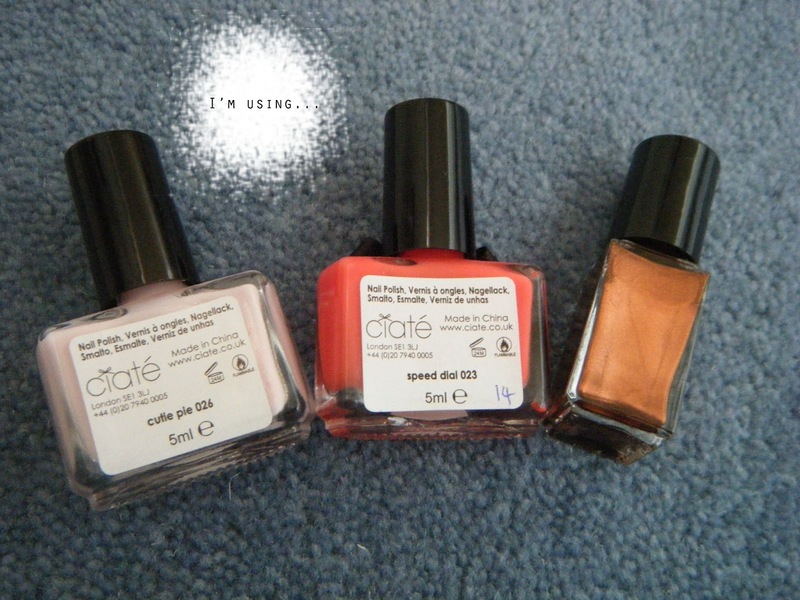 Now you can apply your middle colour, which is my coral polish (Speed Dial). Make sure that this joins to your first shade and try to keep all amounts equal on the sponge. Finally you can add your last colour, which is the bronze shade for me. After you are happy with how your sponge looks, just turn it over and press it onto your nail. You may need to do this a few times, stippling up and down the nail slightly to create an effect your happy with. Repeat this on all of your nails and apply a topcoat to seal the deal. You can then peel off your tape and remove any excess polish around the edge of your nail with a Q Tip. And you should be left with something that looks a little like this! 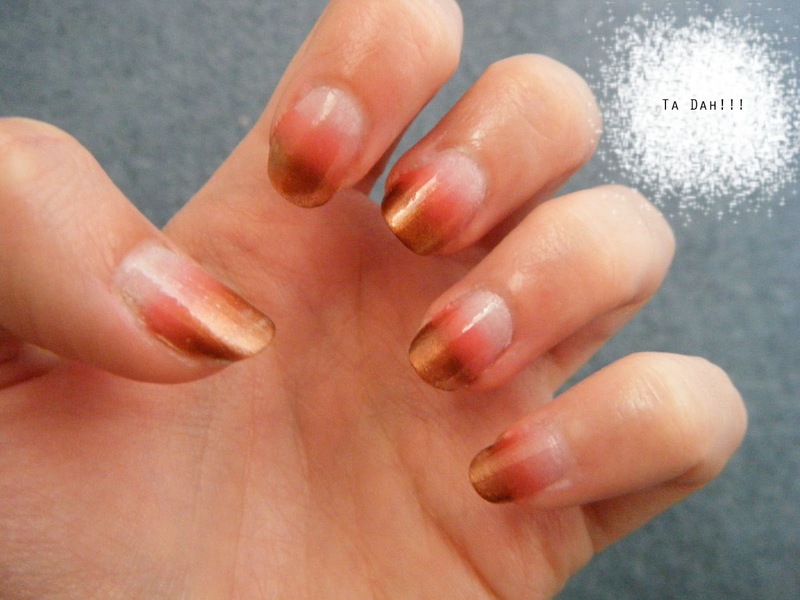 I really hope that you enjoyed this tutorial and that you go ahead and recreate this ombré nail look yourself. If you do, I’d love to see it. Definitely tweet me a picture @edgeofbeauty7 or Instagram it using the hash tag #edgeofbeautyombre and I will be sure to check them out and if I get enough I will create a post with all your photos on my blog. I hope to see you over there soon. 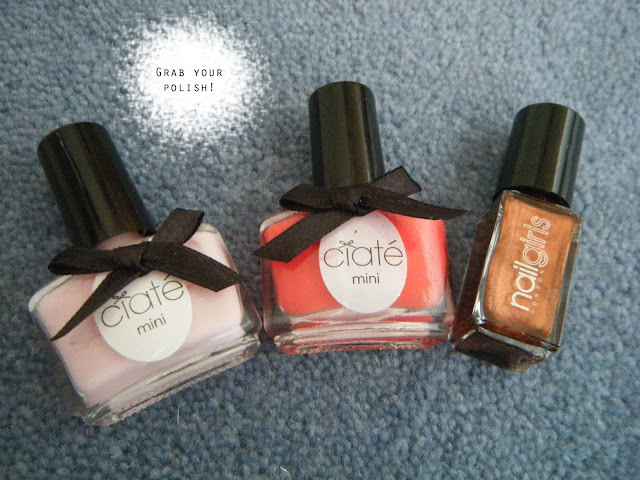 I love this new collection of Nail Polish, the first two are my favorite, they are just so unique! 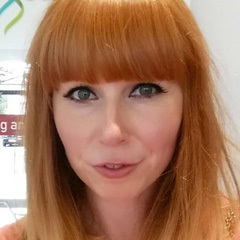 Northern Ireland beauty spas have become tremendously popular of late for several major reasons, the beauty and health aspect spa deals northern ireland, plus the wonderful relaxing settings that many of N.Ireland top spa’s enjoy.